Description: We're ga-ga for our foil gift tags! 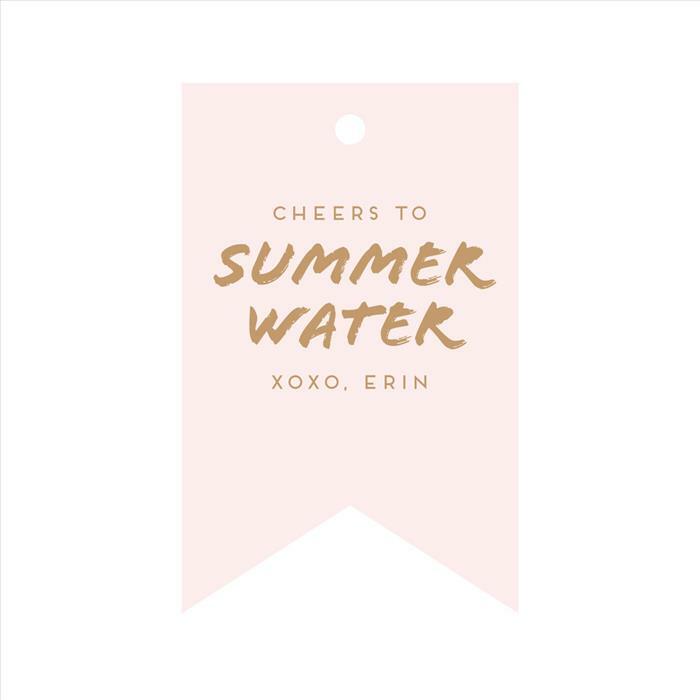 Our completely custom personalized gift tags are available to be foil stamped in 4 different colors (brushed gold, brushed silver, matte white or rose gold foil) on 22 different paper color options (white, ivory, red, coral, clover, plum, pool, slate, bluebell, luxe blush, mint, black, paper bag, gravel, papaya, night, fuchsia, blossom) in sets of 25, 50 or 100. Whether they're the finishing touch to a perfectly wrapped present or simply bowed to a bottle of wine, they're a gift giving necessity year round. 9 die cut shapes (pennant, diamond, square, oval, gem, luggage, tree, hexagon or heart) Great for holiday or any gift, perfect for brides for her hostess gifts or wedding favors. Or for corporate gift giving as well. Make a statement with these beautiful gift tags!